An amazing renovation! This top floor condo has 2 bedrooms and 2 full baths. The building itself is absolutely beautifully and meticulously maintained. Inside the gorgeous foyer, up to the 3rd floor is the one story condo. To the front the living room has glass French doors that open to a balcony overlooking 2nd St. 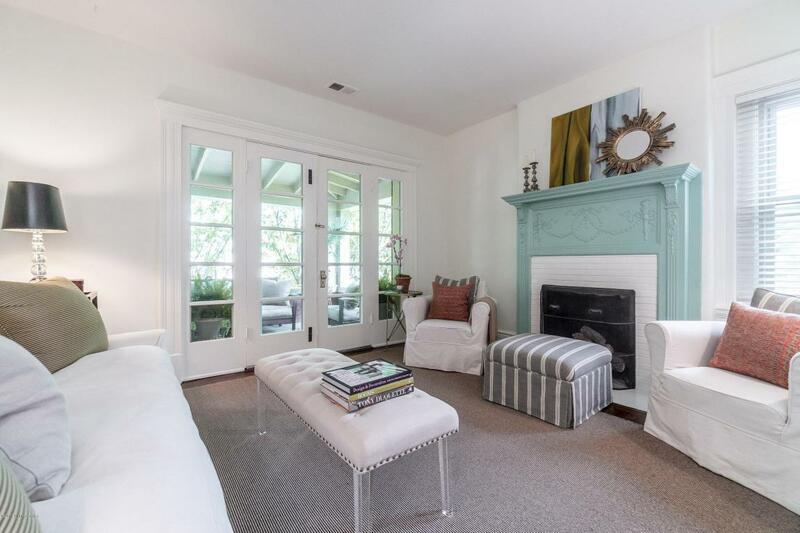 There are refinished original hardwood floors, original millwork and tall ceilings. The hall bath is all tile with a walk-in shower and glass door and surround. The kitchen has granite counters and stainless and black appliances. There is laundry in the unit. Deeded storage in the basement. A brick patio in the rear has a lovely garden, sitting area, and water fountain. The renovation includes updated heat/air and other systems.